We’d love your help. Let us know what’s wrong with this preview of The Mind Manual by Andy Gibson. 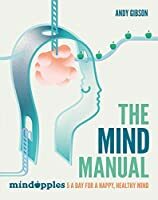 To ask other readers questions about The Mind Manual, please sign up. Wow, so far one of the best mind books I have ever read!! It is simple and easy to read, full of research and science, very well organised and structured, fun and beautiful! And it is written in a way that you don't feel forced to start implementing changes, on the contrary it lets you experience your own way and at your own pace. Because this is not a typical self-help book. It is more than that. It is an informative book on how our minds work and how to get the most of them by simply understand Wow, so far one of the best mind books I have ever read!! It is simple and easy to read, full of research and science, very well organised and structured, fun and beautiful! And it is written in a way that you don't feel forced to start implementing changes, on the contrary it lets you experience your own way and at your own pace. Because this is not a typical self-help book. It is more than that. 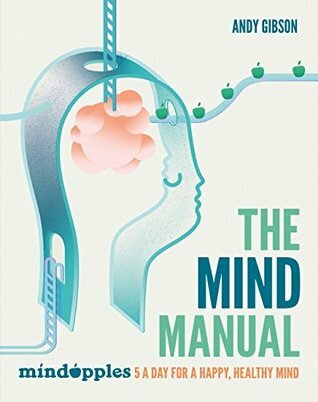 It is an informative book on how our minds work and how to get the most of them by simply understanding how they work. Absolutely excellent book. Highly recommend it! The full-colour, beautifully illustrated and eminently accessible manual for your mind. From the good people who brought you a new way to think about your five-a-day - for your head. This is a veritable bag of tasty goods - and edifying ones at that. Pick up a copy and read it on a train, plane or in the back of an automobile... It is a concise, quick and practical book. And as is handy for timeless advice: it is nicely bound. So once you've finished it, why not give it to a friend?